Drag is more popular than ever and for that, we really have to thank the incomparable RuPaul. Drag Race has grown from queer niche to transcendent cultural phenomenon, with people from all genders, sexualities and backgrounds enthralled by its parade of enchanting Glamazonians. That’s why the audience at the Soho Theatre for Denim: World Tour is such a mix. But drag in the UK is different: it’s dirty and scuzzy and punk and, crucially, they don’t lip sync – they actually sing. Denim, then, may be quite different to the polished performers the audience may be expecting. The show itself, though, is also a mixed bag. 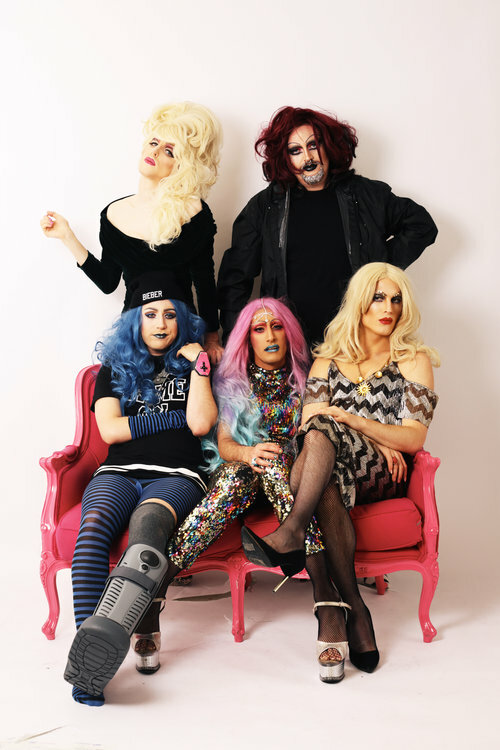 The group consists of five queens – Glamrou La Denim, Crystal Vaginova, Electra Cute, Shirley Du Naughty and Aphrodite Jones – who together are the girl band Denim, the show’s central conceit being a stadium performance in Wembley. Except it’s a black box theatre in central London – they just haven’t realised it. Each queen has her moment in the spotlight as well as group numbers, but while the performance is a smart idea, it never quite pulls together into a joke. That goes for the individual performances too: some of the jokes land, while some of them are missing a punchline and don’t elicit the expected laughs. The queens are at their best when they twist familiar songs: there’s a surprisingly delicate rendition of “Girls Just Want To Have Fun”, a clever nod to Chicago, a Beyoncé song distorted into filth, and Whitney’s “So Emotional” warped into something quite different. But then there are moments of silliness that aren’t as witty, or moments of trite cliché (opening the show with a Lady Gaga medley is just basic, though it is acknowledged as such), or ideas with potential – a gay Muslim torn between his religion and sexuality for instance – that are stretched too thin. Yet these queens are talented! Looks-wise Ru and Michelle Visage might have a few words to say, but vocally they are impressive. Crystal especially sings in a lovely and surprisingly powerful falsetto that rings over the other girls’ harmonies and Electra Cute eventually gets her moment and offers a triumphant rendition of the Eurovision-winning “Rise Like A Phoenix”. This particular performance was lacking a little in spark, energy and fierceness, however. You get the sense that this type of show works brilliantly at the Edinburgh Festival, but in a more traditional theatre it lacks intimacy and audience connection. Denim are essentially a cabaret act and they deserve a cabaret venue to do them justice. They might not be Wembley standard, but their World Tour remains hugely entertaining. 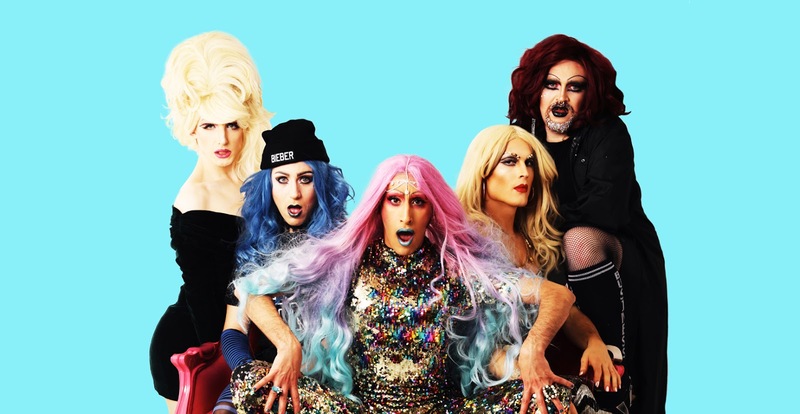 Watch: Denim: World Tour runs at the Soho Theatre until 3rd February.